Photographers continue to wow us and bring the #VeniceBeachFun spirit to Instagram. 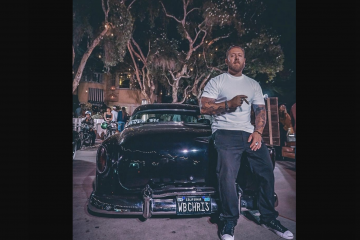 Check out this week’s top ten Venice Beach Fun Instagram photos, selected by Venice Paparazzi’s awesome intern Tori Corpuz. Are you on Instagram? FOLLOW & TAG YOUR PICS with @VeniceBeachFun and @VenicePaparazzi and #VeniceBeachFun for your chance to be featured next. Want to be featured? Tag your Venice photos with @VeniceBeachFun @VenicePaparazzi and #VeniceBeachFun for your chance to be featured next! Previous ArticleYou are invited to Brennan’s Ugly Sweater Holiday Party on Dec. 22. Venice Paparazzi will be hosting a Bad Santa themed photo booth. Join us!